7 Original Paris Images – Please Note: Click or swipe to expand image. A cloudy early November day, and turned down off Blvd St-Germain just past the Danton statue shown in Paris in 5 1/2 Weeks : Photos Links and Commentary – # 1. Taking the Rue de Conde south, one can also reach the Luxembourg Gardens. Going north from Blvd St Germain, the street is call Rue de l’Ancienne Comédie, and will take you to the beginning of Rue Saint-André des Arts, which I will featured in Post # 5 in this series. That sense of walkable discovery is part of what I try to put in my fiction work set in Paris. 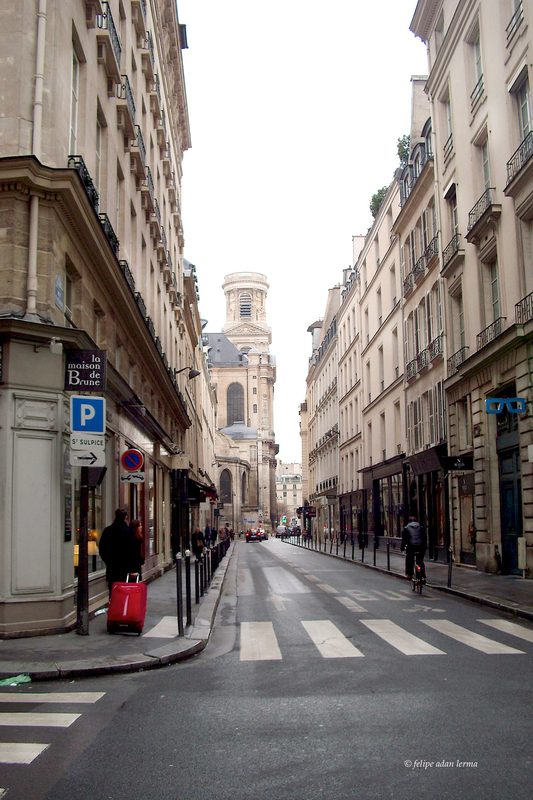 So we after going south on Rue de Conde, we took the second small street east, and a few blocks down, St Sulpice was in view. Ah – first lovely photos – and very thoughtful of you to give Monet an antacid! Very charming. k.
Monet sounds wonderful. 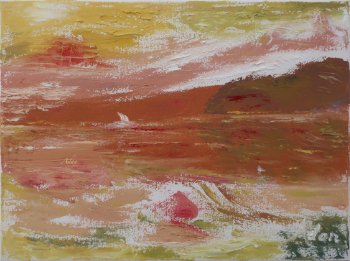 His paintings speaks by themselves…. and met him in paris for a stroll, oh my, might still be there then! Love how you chose Monet, and how you crafted it so that the conversation is so natural…not at all contrived. How wonderful you were able to meet Claudia… and Monet (haha). Looks like you’re having a great trip! and to have met monet lol! what a treat via ms claudia’s prompt, such fun! your poe contribution to claudia’s prompt was a real treat too (“like Weekend at Bernies, only dug up”) – lol! this has been a great prompt, thanks so much!